Erhai Lake, also named as Kunming Pool or Er River, has its feature shaped as a human’s ear. Its surface equals 250 kilometers square, can store water approximately 2 brilliant meters square. According to its mild climate, Erhai Lake has rich natural resources, both plants and animals grow up under good condition around the lake. Because of its crystal clear water and the charming landscape, Erhai Lake is also titled as “Pearl of Plateau”. Inside the Erhai Lake, there are different kinds of famous landscapes like “three islands”, “four continents” and “nine bends”, also other magnificent spectacles as “reflections of the three pagodas”, “Stone Bridge with nine holes” and so on. Besides the national famous Erhai Lake, the surrounded cultural and historical relics are also worth to have a glance. Sky Mirror Pavilion (Tian jing ge), Guanyin pavilion, little Putuo Island, Erhai Park, Xizhou market and Shuanglong area etc. Inside the Erhai Lake, there is a tiny island existing with tones of fames – The Little Putuo. The little Putuo is an island composed by limestone. Because of its round seal shape, Chinese named here as “hai-yin”, literally translated as “seal of the sea”. It is legendized there were always some storms and big waves appear because of the flood dragon stay around the Erhai Lake; while the Guanyin (Goddess of Buddha) make use of this “seal” to control the dragon. Fishermen who lived around the little Putuo then build up this 2-story pavilion on the small island and consecrate the statue of Guanyin, which is the reason why people also named the Little Putuo as “Guanyin Ge” (Guanyin Pavilion). On the East of the Little Putuo, there is a natural harbor named “Baishiqu” close-by the Erhai shore. 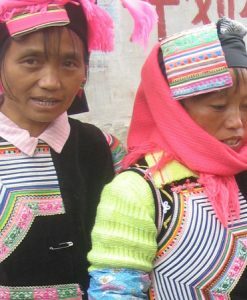 The villagers lived around the harbor are mainly Bai minority people. Today, they are still keeping their Bai minority traditional customs. Occasionally you can see some villagers reach the island by swimming since the distance between the village and Little Putuo Island is just 130 meters. It is possible to cruise on Lake Erhai, in large collective boats, which stop on the central islands of the lake. Departure from the west shore of the lake. If it was possible to experiment with traditional cormorant fishing on Lake Erhai, especially from the village of Xizhou, this is now forbidden since 2016, due to a limitation of fishing on the lake decided by local authorities to conserve existing species, some of which are endangered.